The cause of a major fire that broke out on the Downs on Saturday afternoon is currently unknown, according to East Sussex Fire and Rescue Service. 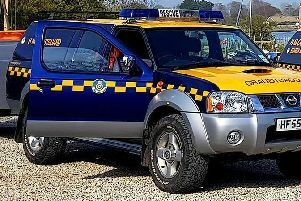 Two fire engines and four land rovers from East Sussex Fire and Rescue Service (ESFRS) were sent to tackle the blaze in a field at Friston, near Old Willingdon Road. Read our original story here. Firefighters said they were alerted to reports of the fire on the South Downs at 2.33pm on Saturday when it was thought a mound of cut grass had caught alight. Crews left the scene at 6.49pm once the fire was out and returned to the scene at about 7.30pm for a re-inspection. A spokesman for the fire service said the blaze was still out upon return and crews stayed on the scene for about an hour. During the blaze, locals were advised to keep doors and windows close to avoid the smoke and were advised to avoid the area.